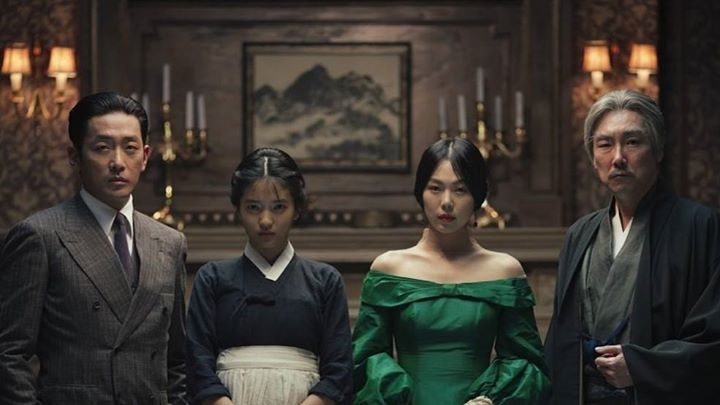 From visionary director Park Chan-wook (Oldboy and Stoker) comes The Handmaiden, a sumptuous and exhilarating period thriller inspired by Sarah Waters’ best-selling novel ‘Fingersmith’. Set during the Japanese occupation of Korea in the 1930s, a young handmaiden named Sookee (Kim Tae-ri) is hired by Hideko (Kim Min-hee), a reclusive heiress who lives in a sprawling mansion under the watchful eye of her domineering Uncle Kouzuki (Cho Jin-woong). But Sookee harbours a secret: she has been recruited by Fujiwara (Ha Jung-woo), a scheming con artist posing as a Japanese Count, to trick Hideko into entrusting him with her fortune. However, when Sookee and Hideko begin to develop unexpected emotions for each other, they start putting together a plan of their own. With breathtaking visuals, grandiose set design and frenzied humour, The Handmaiden is one of the year’s most anticipated films – an opulent and labyrinthine tale of deception, romance and triple-crossing that marks a career high for one of modern cinema’s most thrilling auteurs.